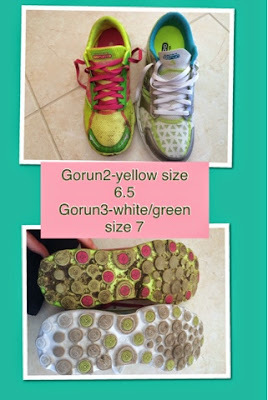 I have been wearing the Gorun2 for over a year now so was excited to receive the new Gorun3 a few weeks ago. The material is slightly different with the upper having a bit of a pattern on the gorun3. The pink is just as on the picture, they are bright - I love the colour - I am keeping them for best as they are too nice to get dirty just yet! The green/white is nicer than it looks on the picture - good alternative for people who don't like bright colours yet is still a bit different to usual shoes. I saw the purple at the London marathon expo, that looks really good - a nice deep purple and the black with pink laces looks better than in the picture on the website. The ladies seem to have a much better selection of colours. 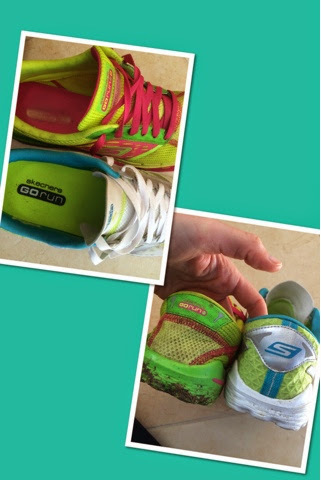 The sole is the same - my Gorun2 have now done over 400 miles so are looking a bit worn but still have life left, I expect to retire them around 500 miles as I do most shoes, they look good for at least another 100 miles. When you first put the shoes on you will feel like you are wearing slippers they are so soft and flexible as well as being really comfortable. 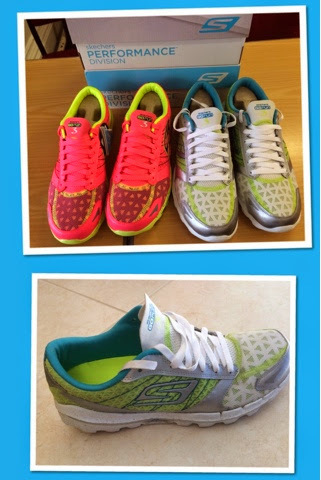 Like all skechers shoes (apart from the Gorun speed) there is a wide toe box so your toes have plenty of space. I have narrow feet; this is not a problem as it's the toe box that is wide not the whole shoe. 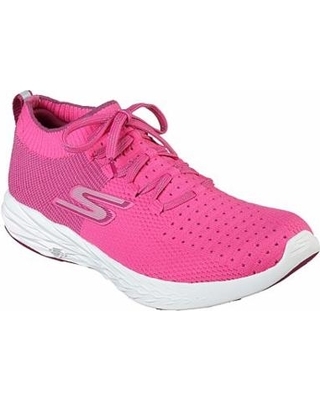 There is a 4mm drop on both models and they both have M strike technology which promotes a forefoot landing which is argued to be more efficient than heel striking. 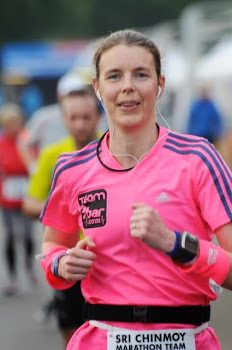 I wore the new Gorun 3 for a few short runs then 11 miles before wearing them for the London marathon on Sunday. I love them (just as I love the Gorun2). The ladies size 7 weighs 182g (on my kitchen scales) so they are very light giving you a good feel of the ground yet with a surprising amount of cushioning for the weight. Yes you feel stones through them so I wouldn't use them on gravelly /stoney paths but that's the price you pay for lighter shoes. At no point in the marathon did I think 'I wish I had more cushioning' they are so light you almost forget you are wearing them. 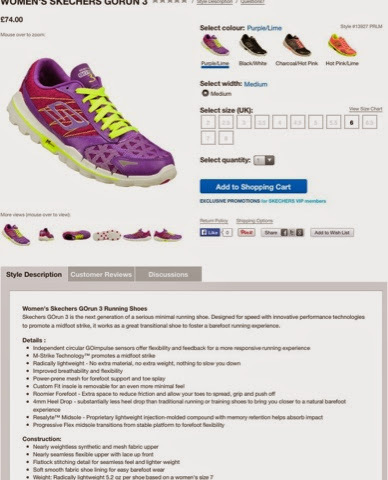 I was very happy with how they felt throughout just as I was the previous model and was not desperate to take my shoes off once I had finished as used to be the case when I wore clompy Asics Cumulus or Mizuno wave rider. I have used the Gorun range for all race distances up to marathon (Gorun ride beyond marathon as more cushioning) as well as speed work and a lot of my steady runs as well because I like them so much.